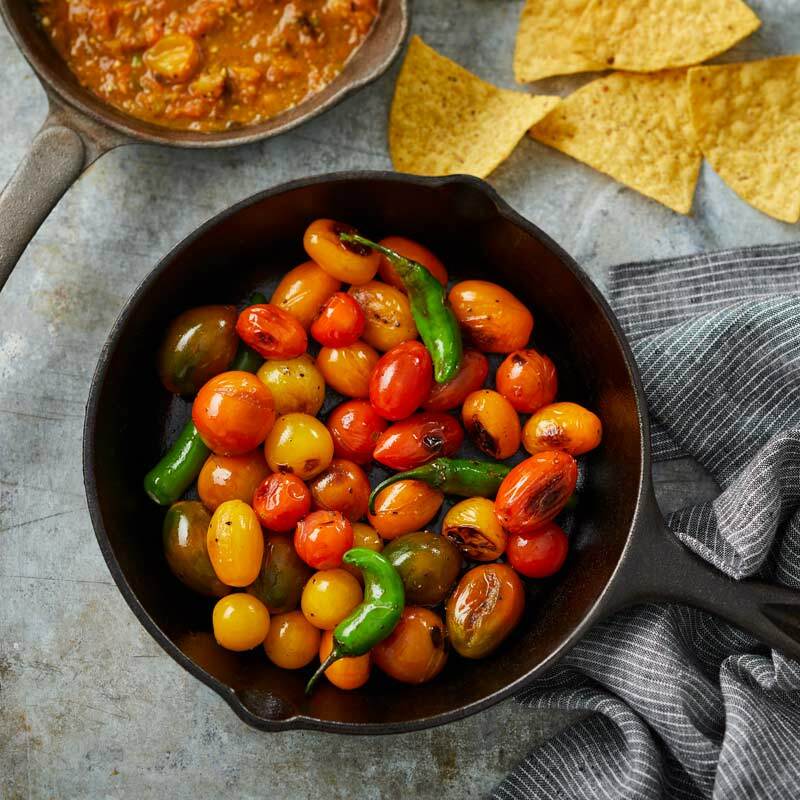 Knock-your-socks-off salsa that will keep you coming back for more! Heat a 12-inch cast-iron skillet or griddle over medium heat for 5 minutes. 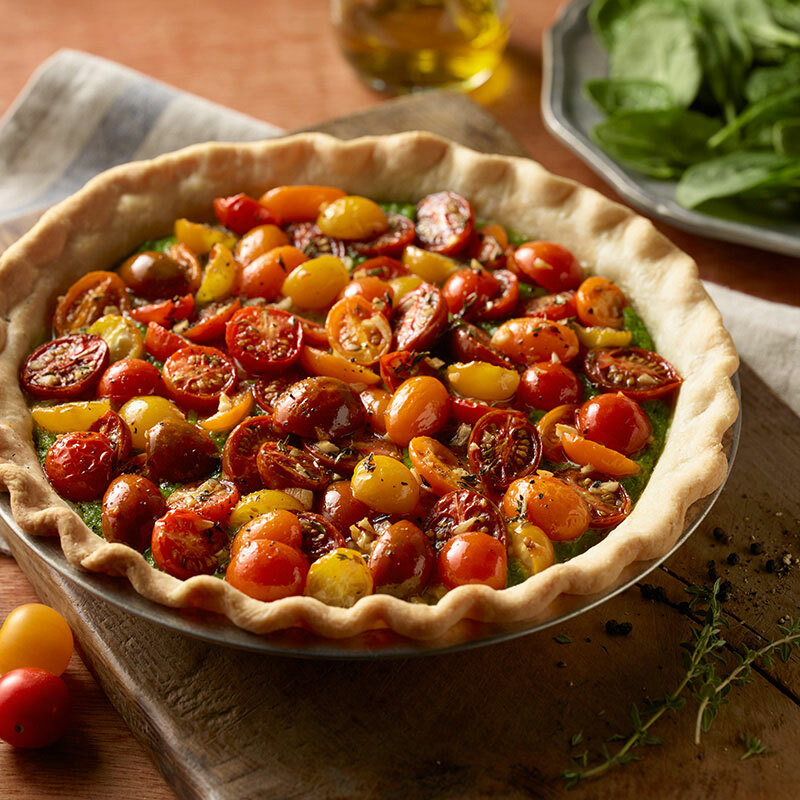 In a large metal bowl, place the entire package of Constellation™ tomatoes and two serrano peppers. Pour in olive oil, and season with salt and pepper. Blend well, making sure all tomatoes and peppers are lightly coated. Pour tomatoes and peppers into hot cast-iron pan and cook, turning occasionally, about 6-8 minutes, or until slightly charred and softened. Transfer back into metal bowl and let cool for 2-3 minutes. Blend with an immersion blender for 30-40 seconds until desired texture is achieved. 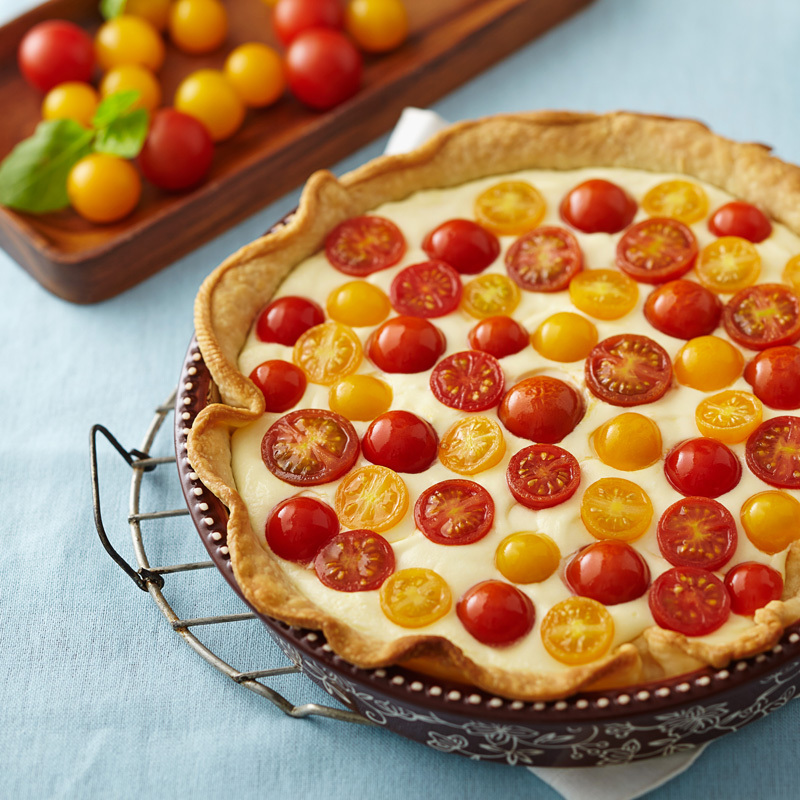 Serve warm, or store in an airtight container and refrigerate up to 2 days.